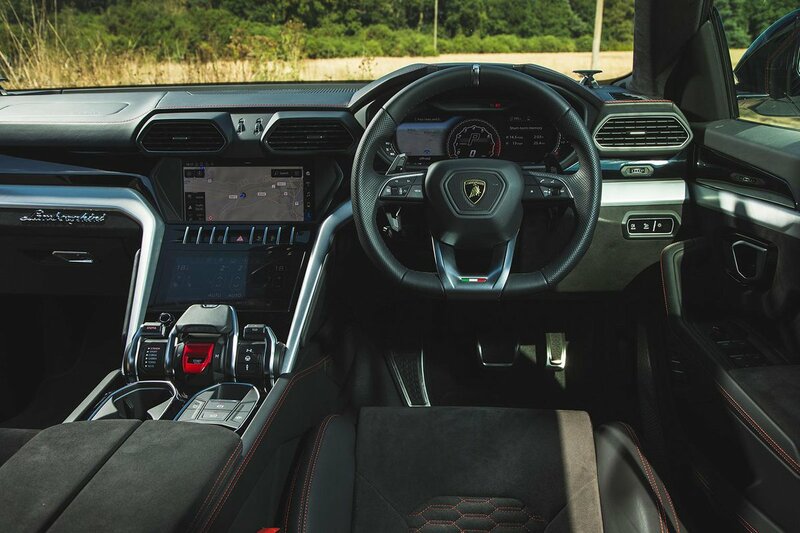 Lamborghini Urus Interior, Sat Nav, Dashboard | What Car? 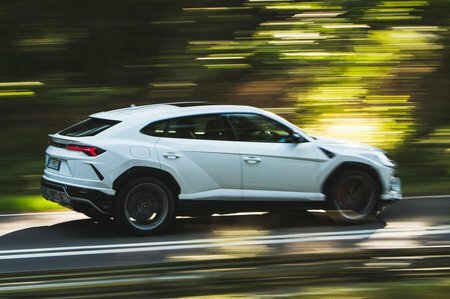 Despite it sitting far higher off the ground than its stablemates, the Urus has plenty of Lamborghini-specific touches inside. From the covered starter button to the angular air vents, it looks very different to the Bentley Bentayga, Porsche Cayenne and Audi Q7. Yes, if you look closer you will see Audi switches, stalks and even fonts, but everything still feels of high quality, even if a lot of it could be found in a far cheaper A4. Look past this and you’ll find the interior is made of rich materials. From dense and squishy plastics to supple leathers, from grippy Alcantara to fancy trims, the Urus looks and feels as expensive as you’d hope. 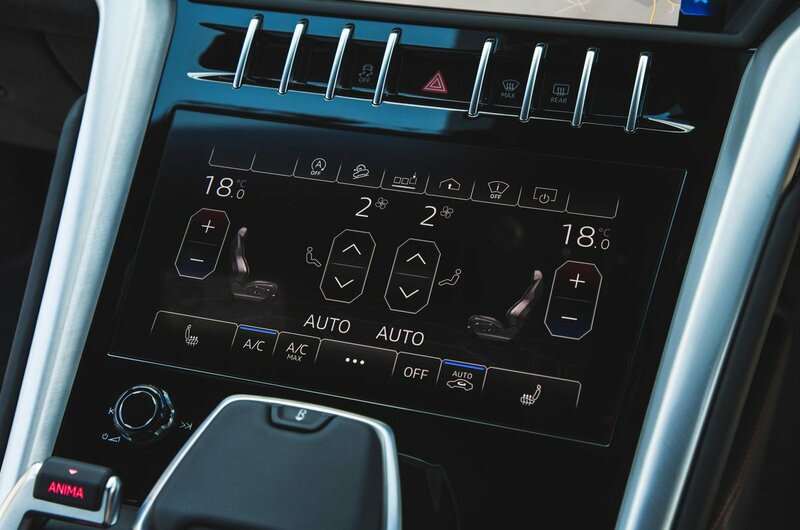 The twin-screen infotainment system and digital instrument cluster will also look familiar to those with high-end Audis. The good news is that both have sharp graphics, are responsive to commands and have menus that are easy to get used to. You also get smartphone connectivity as standard. It’s not perfect, though. We still prefer dial-controlled systems such as BMW’s iDrive, because you don’t have to take your eyes off the road quite so much to operate them, and the second screen is a bit of a faff. It may look clean and simple, but physical controls for heating and ventilation are far easier to use than a touchscreen. Once you’ve acclimatised, you’ll find it easy to get comfortable. The front seats come with electric adjustment as standard and there’s loads of movement in the steering wheel. The only black marks against it are pedals that are slightly offset to the right and poor rear visibility. At least a 360deg camera system makes parking manoeuvres far less stressful.